March 02nd 2016:Got Leadership Challenges? Join the Conversation! Email Questions or Call-in! Got Leadership Challenges? Call or email your concerns and tune into Leadership Matters, Wednesday, March 2 from 2-3 PM Pacific Time. Our host Dr. Sheryl White, Consulting Psychologist and Vice President of Training and Organization Development/InnoVisions at the Neighborhood House Association in San Diego, CA and special guest Jenni Furmer, CEO of Alpert Jewish Family & Children’s Services in West Beach, FL look forward to hearing from and responding to you. 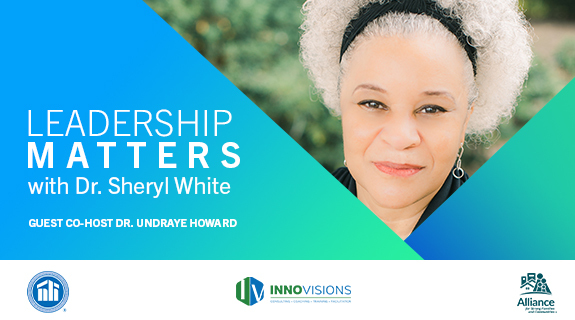 Don't miss this opportunity to ask questions and receive updates on Leadership Matters! Informing Leaders. Inspiring Solutions!